To commemorate the new year, I've decided to list my favorite blog posts of the previous year and show you how they all came to fruition. Last year I revamped the style of the blog, started new categories, continued old ones and really took risks with my work. Looking back, I can't help but marvel at the amount of vulnerability I've let run amuck on this site. I'm proud of my growth. 10) Cracked Crown: In 2010, a good friend of mine lent me Pheobe Hoban's A Quick Killing in Art. The book covered the Haitian artist Jean Michel Basquiat's downward spiral, celebrity friends, art dealers, fragile soul and demise. 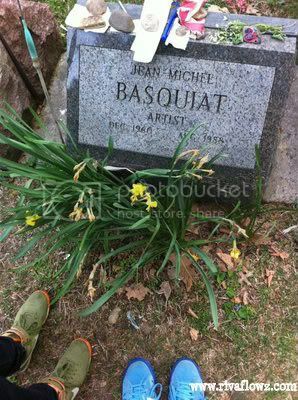 Between then and 2012, I've seen Radiant Child (one of his documentaries), the movie based on his life (which is terrible), read countless works that included him (Andy Warhol's Diaries & Keith Haring's Journals), and visited his grave and last place of residence. Dedication huh? As a Caribbean artist with a culture reluctant to most professions that are not of the math & sciences, Basquiat's story touched me. He rebelled to craft what his heart desired, breaking this very same muscle in the process. A sacrifice indeed. All of this, inspired a poem. 9) Looking Glass: A short story based on one of the most incredulous experiences of my life. It will eventually make its way to my memoir in true form. 8) Growing Apart: This memoir was born in a daydream. I was reminiscing about an old best friend and crush when I decided this would be a great story about life's passing moments. This one is for all the boys/girls next door. 7) Bullyisms: This blog was the most difficult thing I've ever had to write. When you've spent years bandaging your scars and you're fully invested in a new outlook, digging up the past is an excruciating task. I forced these words upon my keyboard and even shed a few tears in the process. The vast amount of articles on bullying and a few after school specials prompted me to share my story. I knew I wasn't the only one who'd suffered. The emails and comments after the piece proved that and helped me to heal all over again. 6) Space: I received a text message from a friend who was annoyed with his come-around-all-the-time-girlfriend. This was the philosophy that couldn't fit into my iPhone text bubble. 5) A Belle in Brooklyn: I've done a ton of "Good Reads" segments on here. They're usually small synopses & anecdotes of what I've read for the week. Straight to the point. Demetria Lucas's first book brought out an intricate and sprawling review, that was one of my most viewed blog posts of the year. 3) Warrior Women: I swear, I've been ruminating this piece since my freshman year of college. I was in one of my Professor's offices, which was actually shared by women, and I was stunned at all the literary awards and honors they had plastered on the wall. After ogling them in jealousy, I noticed that there were no family photos nor treasured memories. This sat on the back of my mind for the next three years of school. Every time I entered a female English professors' lair, I would look for signs of loved ones. I only found one sign, out of over a dozen of them. 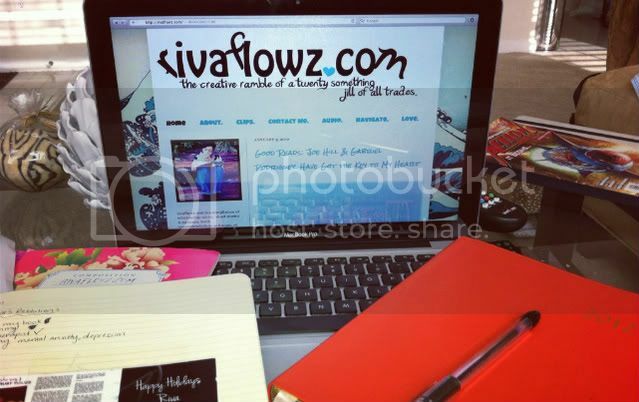 2) Erica versus Riva: This post was a vulnerability I'd been hiding all my life. My best friend asked, "Where better to lay it than on your blog audience? Young women, whom are all our age, that are going through the same thing. I think that's what they've been craving." Fruition. 1) Roundabout: This story, for me, took the cake. Rereading it, I found myself toppling over at a humor I didn't know I possessed. I'm even contemplating a series for young adults entitled Junior, for girls with "frenemies." Last year, I wrote a ton of writing resolutions. This year, I'm keeping it mighty simple. 2) Publish this damn book. 3) Publish this god forsaken book. I love this post. You are so incredibly talented! I love the fact that you created a Greatest Hits of 2011! Now I can keep up with your prolific output a little easier. :-) Keep up the great work, and I look forward to getting your book when it comes out! Looks like someone one had a pretty 2011! All the best to you in 2012. Riv's greatest hits! Here's to another year of awesome posts! I love that you always keep your blog interesting and personal. You are definitely an inspiration.